Have you noticed what’s been going on here on the blog? How more and more often people are showing up in the images? I can’t explain it. And I’m sorry if it’s leaving you confused. It’s leaving me a bit discombobulated, too. 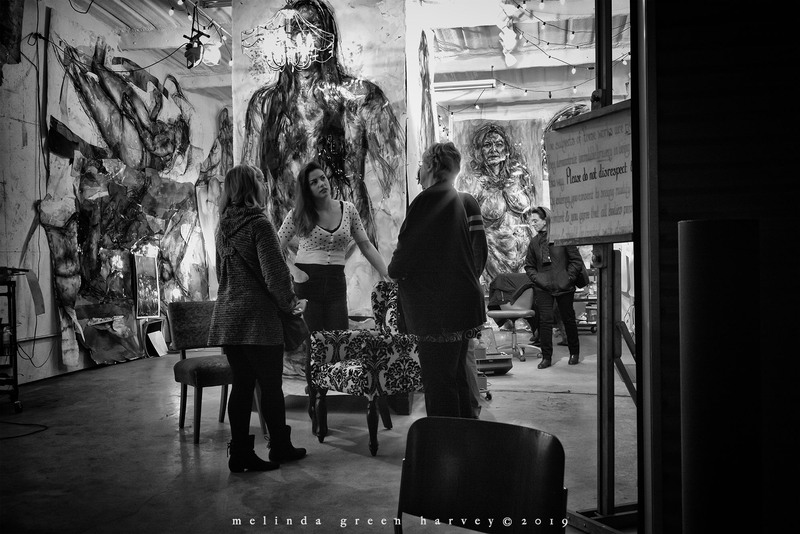 Every first Friday, no matter the weather, folks turn out for the First Friday Art Trail. This month, in addition to what you think of as “art” there were bands, dancers, costumed actors, food trucks, and lots and lots of people. 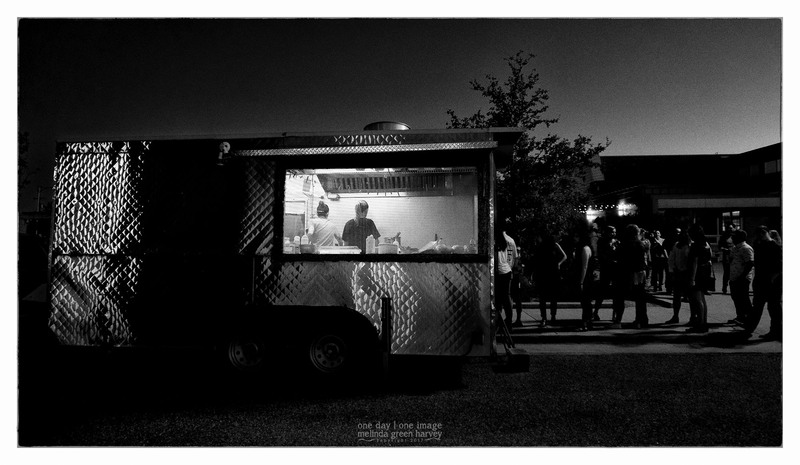 My informal survey of the food trucks indicated that this one, the taco truck, was the most popular. It’s a lot of fun; you should probably plan a trip to Lubbock one of these first Fridays to check it out. You’ll be glad you did. 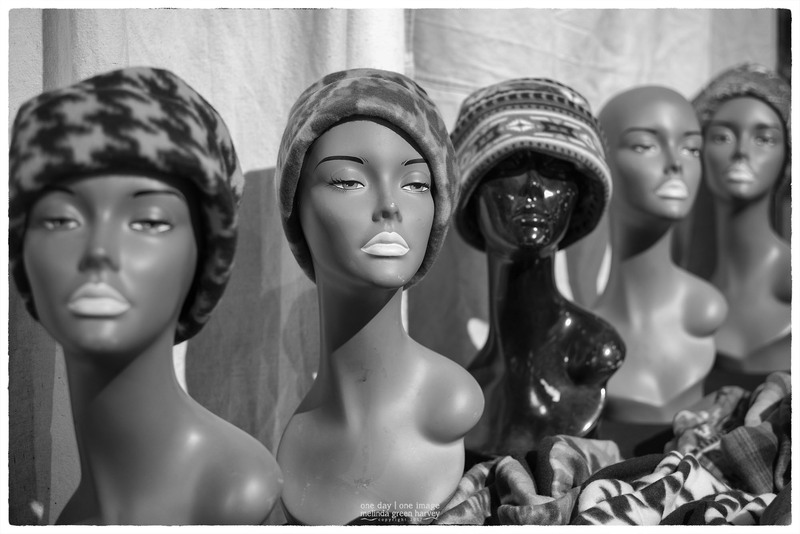 Mannequin heads modeling fleece hats on a warm winter night. No one was interested in purchasing a new hat, which left room for me to make this photo.